It’s release month of The Marriage Merger and I’m in the mood to play some games! First off, lots of good news to share. To get ready for the new installment of the Marriage to a Billionaire series, The Marriage Mistake is only $2.99 at Amazon and Barnes and Noble! I’ll be everywhere this month giving away goodies, advanced reading copies, and blogging about the book. A listing of my schedule will go up soon with all links for easy access. How would everyone like me to post the first FULL TWO chapters of The Marriage Merger before it releases? All my wonderful, loyal readers need to do is help me achieve the magic number of 6,000 on my Author Facebook page. Simple, right? I get to 6,000, and I post the entire first two chapters for everyone. The faster I get there, the sooner I post, so get ready, set, GO! And don’t forget to purchase your own copy of The Book of Spells for only .99 which includes an exclusive short story with Nick and Alexa! Your email stated the marriage merger is $2.99, I just went to the Barnes and noble site it’s $7.99. Do you know when it will be for the lower price? Oh no I’m so sorry! 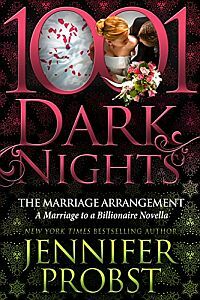 That’s The Marriage Mistake for $2.99 – Merger is full price since it’s a new release!